Hi Friends~! How’s been your week? Mine has been a little bit busy but it makes me happy because I’m creating new items for my shop ♥. 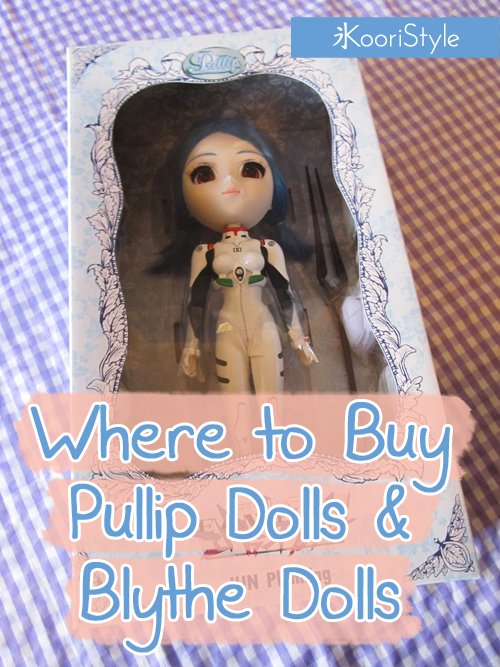 For today’s update I want to talk to you about where to buy Pullip and Blythe dolls. As I mentioned before, I’ve bought my Pullip dolls from PullipStyle.com. I even made a full review about this shop and you can read it HERE, I fully recommend this site ♥. Another place where you can buy Pullip is from the official page: Pullip.net. I’ve never ordered from here but since is the official shop you can find more information and lovely Pullip images. Lastly, about where to buy Blythe dolls I’ve found the official shop: JunieMoonShop.com. At the moment I don’t own any Blythe doll but if I were to order one I would buy it from here. I’m still a beginner when it comes to buying dolls, but once I get to order from more sites I’ll make reviews to help you have more information before buying a doll. Have you ever bought from these sites? Do you recommend another site? Have a lovely day and I’ll see you next week ♥!